I was six years old and I was fat. It was something I perceived happened to me all of a sudden. I’m sure it was gradual but my memory of my six year old self does not recall it that way. The pictures don’t prove it out that way either. I was skinny and then I was fat. It’s odd and it’s where my story began. The six year old girl who was suddenly fat. This sent me on a life long quest for understanding what was happening and why. I didn’t realize this was a puzzle I needed to solve until many years after it happened but it was indeed the biggest unraveling of my life. Over 30 years in the making, my journey in and out of obesity ends in an art project. I have called it Skinny People Eat Salad since the beginning but as I have been getting to this point in preparing for sharing, the name has shifted. Skinny People Eat [ ] is the new name. Because skinny people eat lots of things. Food is the crux of this whole mystery, so the new, more accurate and representative name was born. This project is the only thing that helped me get out. I want to share my story with you because maybe it can help you understand your journey and allow you to carve your own path of understanding. I grew up in a family that was full of love. We always had food on the table and everything provided for but we didn’t have much money. I don’t know how that affected the food choices my mother made but based on the period in time that it was happening, it had to have had some kind of an impact. Over the years I went at this problem more times than I can count. I was never successful. I had fleeting moments of success but I never understood why what I was doing was making a difference (or not). I understood things generally. It turns out for me and my body – that level of understanding was not enough. I never really saw what other people saw until I shed the weight and looked back on things in hindsight. Going through this experience taught me about depths of illusion that are possible. We see things relative to where we are. We see very real and physical things in relation to and in context of things in our mind. I would never have known this without shifting sizes so drastically. The mind warps the body. I have always had a tendency in life to be ahead of my time. That was no different when it came to my body. 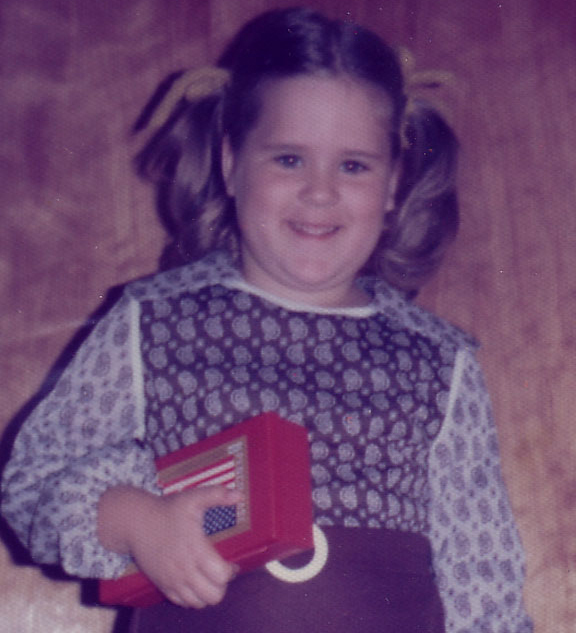 I was ahead in being a ‘chubby’ sized girl. Buying clothing was special for me, it was much less common then for people to be over weight, I stuck out. And it’s not that I was unattractive, I am a pretty girl. I’ve been told many times through the years that I could be a ‘hottie’ if I lost some weight. Those people had no idea how much I didn’t want to hear their opinion about my weight. So many people mean well when offering opinions about others and their problems – it didn’t help – it hurt my feelings. That’s part of the challenge with this kind of issue. I needed to lose the weight and that was a truly difficult challenge for me but I had very little likelihood of success. How uninspiring. How heartbreaking. You can’t win even if you try. That’s what it felt like. And in the other ear it was people telling me I should fix this. It was easy. I just needed some discipline. You know, eat less – exercise more. Advice that is not helpful because it’s much too ambiguous to be actionable or useful in any real way. I decided a long time ago that incorporating daily exercise into my life was a goal I wanted to achieve. I had seen so much benefit from exercise in the past-I felt like I could succeed if I found the right trainer. I had bookmarked inspiring videos of Jack LaLane and I wanted to move every day. What I didn’t realize was that my food was so much more relevant to success. Exercise is beneficial but it doesn’t fix bad food. That’s the most important thing I eventually learned that I truly had no clue about when I began. But daily exercise is hard and it’s not so easy to fit it in to every schedule. I floundered. And blamed that. One of the many wrong reasons things didn’t work out. Starting from the age of approximately 12, I have been seeking the answer. How can I be healthy? How can I stop being fat? How do I make this change? I was constantly watching people around me. The thin people I knew didn’t seem to eat much differently than the fat people. The thin people seemed to be a bit more active, so I started to equate exercise and thinness. But all through the years I exercised and I didn’t consistently grow smaller. I had brief and fleeting periods of success but my basic story is that I was doing this wrong for about 30 years. Reaching this point has made me see that I need to share the story. As much detail as I can muster – because it’s important. I’m not the only person who has suffered from so many false notions. These notions are perpetuated and they are harmful. It hurts to do something wrong over and over again. I aim to expose those myths. Change has come and it has been drastic. I live a different life but it has taken moment by moment change over months and years. Every subtle thing has had an affect. It’s not just the way I look that has changed. That’s the thing that people see. How you look is where all judgement of success or failure comes from. The look of things matters. Now it’s about living a healthy life and that’s a pretty amazing place to have arrived based on the places I’ve been occupying. Getting here was unforeseen but essential to my survival and in some ways my sanity. I needed to heal myself from what I felt was wrong and made me sick. I am clearer now than I have ever been. Vegetables are magic. And it’s about living this way – not constantly counting things. The joy must be present in life. I have found my joy again. Health is life. That’s the gift I want to share with anyone that will listen.